Thursday, October 25th - SCC Costume Extravaganza @ 6:00-7:30pm in the gym. Please join us for a time of remembrance on Friday, November 9th @ 11am in the gym. Read more about Take Me Outside! 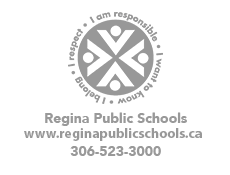 "October 14-20, 2018 is Education Week in Saskatchewan. For more than 30 years, Saskatchewan has dedicated one full week every year to celebrate student success and recognize the dedication and commitment of education professionals across the province. Read more about It's Education Week! Reminder: NO SCHOOL for students on Friday, October 5th (Teacher's Convention) and Monday, October 8th (Thanksgiving holiday). We look forward to seeing all of your smiling faces on Tuesday, October 9th. Read more about No School! Thank you - over $1600 raised for Cancer research! Yesterday, our students were able to 'Silly String' some of our staff to celebrate their fundraising efforts for the Terry Fox Foundation. This was Dr. Hanna's 25th year supporting cancer research. Thank you for your contributions to this great cause! Read more about Thank you - over $1600 raised for Cancer research!